Have you ever been in a situation where you needed to open a can but had no tools of any kind? This tip could come in handy during a zombie apocolypse. Might also be useful during a terrible camping trip where you lose your tools or forget to pack them! A great survival tip that will be useful if you are ever stuck. This is a no mess way to open a can that doesn't involve hacking it to pieces. All you need is the can and some concrete or a flat rock. 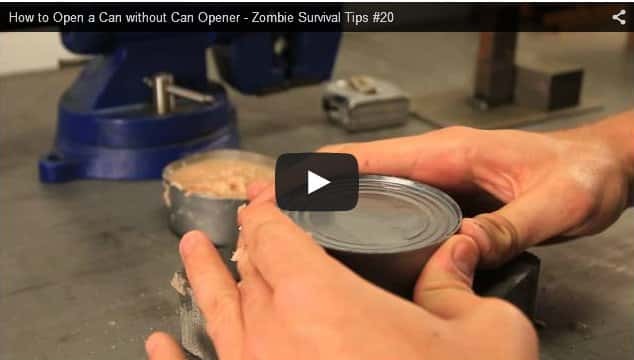 Watch the video below to find out How To Open A Can Without Tools!